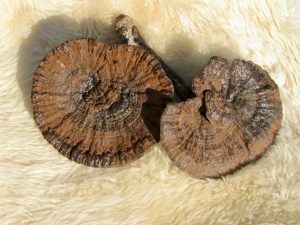 Chinese Herbal Medicine (CHM) is one of the main specialisms of TCM. In certain cases it can be the preferred treatment choice, instead of, say, Acupuncture. Acupuncture TCM is not necessarily the best option to treat every medical complaint, just as Surgery is not always the best Western Medical treatment. Acupuncture is good for what Acupuncture is good for – but it is not good for everything. CHM employs the same diagnostic methods as other branches of Chinese Medicine and uses ingredients such as, roots, leaves, fruits, seeds, flowers and other materials which are combined according to classical Prescriptions to treat the patient. Some of the individual Herbs are shown in the photo at the top of this page. The prescription is then tailored specifically to the health condition of the client. The resulting prescription can then be dispensed to the patient in a variety of different ways including as a decoction. This involves the dried herbs being boiled up in water to extract the active medicinal properties. The usually takes between 20 minutes and half an hour. The resulting fluid is then passed through a sieve; the herbal residue is thrown away and the medicinal fluid is taken, as prescribed by the Chinese Medical Herbalist. The plate shown here contains one day’s dose of a famous prescription ready for boiling to make a decoction. Herbal prescriptions are sometimes dispensed as pills, tablets, or tinctures and can also be dispensed, where appropriate, for external use, as lotions, ointments, salves or embrocations. 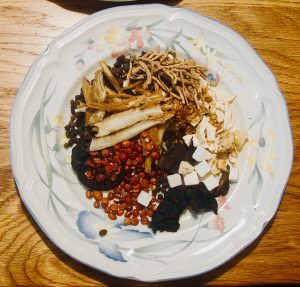 As Chinese Herbal Medicine might be the preferred option in certain instances the College provides a specialist postgraduate programme in Chinese Herbal Medicine. The Diploma in Chinese Herbal Medicine builds upon preliminary material introduced in the Lic.TCM Course. 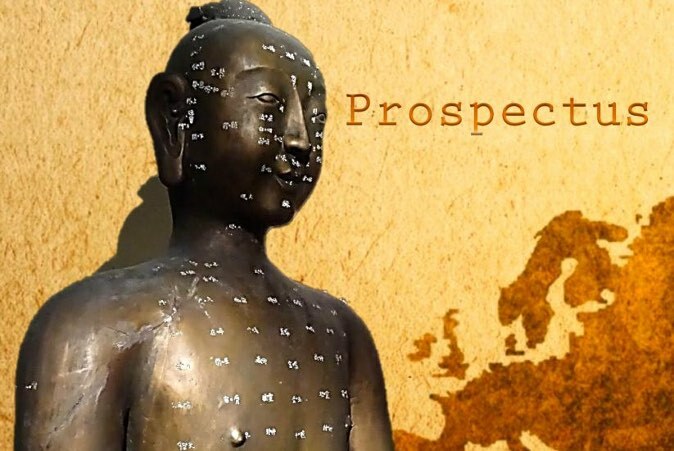 If you are already an Acupuncture TCM professional you can go directly to the Diploma in Chinese Herbal Medicine page. You can continue to the next page on the Branches of TCM – namely Qigong.